Celebrate your XC RACE MONTH! Show it off! 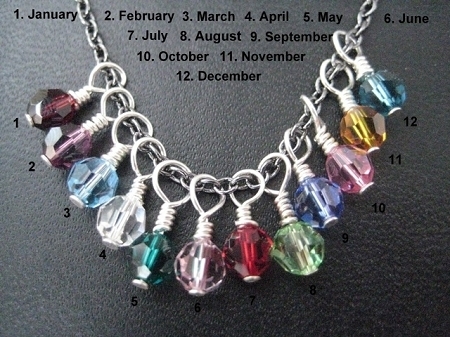 Choose your Race Month Sterling Silver Wrapped Swarovski Crystal! 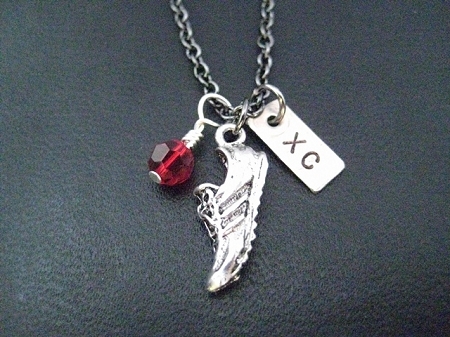 The Run Home's RUN XC RACE MONTH DISTANCE Necklace features a Sterling Silver Wrapped 6mm Swarovski Crystal in the Month of your choice, a 3/4 inch long pewter running shoe and a hand hammered 1/2 inch long nickel silver pendant hand stamped with XC. Choose to add a Hammered Nickel Silver 1/4 x 1/2 inch 5K Charm, an additional Sterling Silver Wrapped Swarovski Crystal, a Pewter Initial Charm or a Hammered Nickel Silver 1/4 x 1 inch Custom Name, Date, Race, or Word Pendant. I love this idea! I bought this with an August, September, October and November Crystal to represent my daughter's first cross country season. Can't wait to give it to her after her banquet. Looking forward to adding more Crystals and distance charms to represent her freshman track season. Thank you!